When you think “flat iron,” what comes to mind? Most likely, you think of your flat iron as a styling tool that straightens, but you can also learn how to curl hair with a flat iron. In fact, figuring out how to curl hair with a flat iron lets you get more bang for your buck. You end up with one tool that can give you more than one look. Go curly one day or straight the next. Before you start using a flat iron for curls, there are few things to know, both to protect your hair and your style. When using a flat iron that curls, it’s essential to prepare your hair first. You don’t want to fry your hair or otherwise cause long-lasting damage. Use a quality tool. Protecting your hair starts with choosing the right flat iron to use. Don’t go cheap here — you want a tool that heats up enough that you don’t have to expose your hair to high heat for a prolonged amount of time. Also, pay attention to the material used in the plates. Ceramic is a good pick, as is tourmaline, according to StyleCaster. Use the right tool. Like curling irons, flat irons come in a variety of sizes. 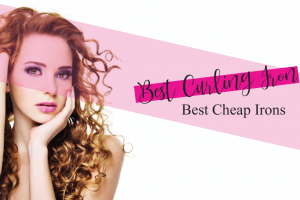 It’s important to choose the right size flat iron curler. If you have thick hair, go big — at least 1 1/2 inches. A 1-inch flat iron is appropriate for people with finer hair or short hair. Use a heat protectant. Heat damages hair, yet you need heat to get specific styles. Heat protecting spray is a good compromise. The type you use depends on your hair type. If you’ve got fine, wispy hair, look for a protecting spray that also offers some hold. One last thing to remember when you’re getting ready to curl your hair with a flat iron: Don’t do it daily. At most, you want to style your hair with a heat tool twice a week. Otherwise, you’ll end up with crispy, crunchy damaged hair and that’s not a good look for anyone. Ready to learn how to use a flat iron to curl hair? Here we go. Spray your hair with the protectant. We want to stress how important this is — don’t forget! Gather up the top half of your hair and put it in a ponytail on top of your head. You’ll start by curling the hair that’s closest to your neck. It’ll be easier, trust us. Place the flat iron near your scalp/the root of your hair. Fashionista has a video showing how it’s done. Put one section of hair (about 1 inch thick) through the flat iron. Wrap the rest of the section around the flat iron. You want the hair to fall between the two plates. Wrap your hair away from your face. Some argue that the direction you go a is a matter of preference. We recommend away from the face so that your curls look natural. Run the flat iron through the length of the section of hair. Cosmopolitan compares it to using a pair of scissors to curl a ribbon. Repeat the curling process with the rest of your hair. Once you’ve curled the bottom portion, free the top part of your hair from the ponytail and curl that. Now that you’ve figured out how to curl hair with a flat iron, this list of do’s and don’ts will help you get the most from the process. Don’t: Put too much hair in at once. Working with small sections might take a longer time, but you’ll get a better curl. Do: Use your heat protectant spray. We told you we were serious about this. We might sound like a broken record, but you’ll thank us in the end. Don’t: Stop once the hair is on the flat iron. If you pause in the middle of curling a section of hair, you’ll end up with a kink in the curl. Do: Vary your speed. For tighter curls, go slowly. For loose, beachy waves, pull the flat iron through the hair quickly. Don’t: Curl hot hair. If you’re not happy with how a section of hair turned out, let it cool down first before you restyle it. Do: Practice with the flat iron off. Try curling your hair with the flat iron unplugged. Doing so will help you get used to the feel of using the tool and can help you avoid making mistakes when it’s “go” time. If you’ve got naturally thick, curly hair, you might be more familiar with using a flat iron for its intended purpose – to straighten your hair. Since we’re all about helping you, we thought it’d be a good idea to show you the best way to flat iron curly hair to straighten it. Wash your hair first. 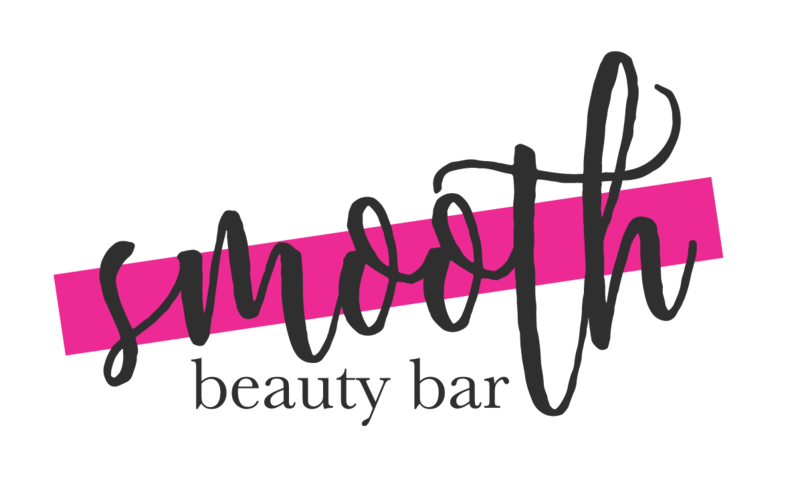 Before you straighten your curly hair, wash it with a smoothing shampoo. Dry your hair correctly. Teen Vogue recommends smoothing the hair downwards with a towel and using a hair dryer to “rough dry” the hair. Otherwise, you risk making the curls more prominent. Spray the hair with heat protectant. It’s as essential when straightening your hair as it is when curling it. Wait until hair is thoroughly dry. You don’t want to boil your hair while straightening it. Straighten small sections of hair. Work with one inch or smaller sections of hair to get the best results. Start at the roots. Place the flat iron near the roots of your hair. Pull the section taut, then glide the iron through. Go slowly. It’s better to pull the iron through the hair at a slow and steady pace than it is to have to repeat straightening each section, according to L’Oreal. Whether you’re using it to curl your hair or straighten it, here’s how to get the most out of your flat iron. Don’t set it too hot. Ever read “Fahrenheit 451”? Turns out your hair burns at the same temperature as books, according to Buzzfeed. To avoid scorching your hair, don’t turn your flat iron to a temperature hotter than 365 degrees Fahrenheit. If your hair is fine or thin, go cooler: 325 degrees F should be sufficient. Brush your hair after curling it. Let the hair cool a bit, then run a brush through it to remove any kinks or bumps. Keep your flat iron clean. Hairspray, heat protectant and so on can build up on the plates of the flat iron. Cleaning it regularly (or after each use) will ensure that it works as well as it can. Use the right size flat iron. If you’ve got lots of thick hair, go with a 2-inch tool. A mini flat iron is great for people with a pixie cut. We mentioned the importance of choosing a high-quality flat iron above, but what do the different materials mean when it’s time to use the tool? Here’s what you need to know. Ceramic Plates. Ceramic plates are the gold standard. The material heats evenly, which reduces the risk of burning or frying your hair. Look for plates that are made of solid ceramic. Ceramic coated plates can chip easily. Tourmaline Plates. Tourmaline is a mineral that is thought to have magical, hair protecting abilities. Supposedly, flat irons that have tourmaline plates help your hair look shinier and smoother than other tools. Titanium Plates. Titanium flat irons heat up quickly, which is a blessing and a curse. The high heat helps to curl or straighten hair faster, but also makes you more likely to burn the hair. Using a flat iron to curl your hair might seem a little unconventional, but it’s a smart idea. It means when you buy a flat iron, you’re buying a multi-purpose tool. The thing to remember when using your flat iron as a curler is that you want to adjust your speed depending on the type of curls you want, and you want to avoid stopping at all costs. It’s also super important that you protect your hair before using any heat to style it. 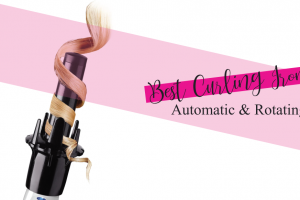 Now that you know how to curl hair with a flat iron, you’ve got pretty much unlimited styling opportunities in front of you.